Top 10 Ways to Avoid Being Denied Life Insurance! This article was written for those who are worried that they might be denied a life insurance policy due to some pre-existing condition, or may have already been told that they won’t qualify for life insurance should they decide to apply, or have already been denied life insurance! If this describes you, then please keep reading. If you find yourself here because you have already been denied life insurance, do not fret. Help is on the way. Here is our 3 step approach for finding life insurance once someone has been denied coverage. This seems obvious but the key is getting to the nitty-gritty of why you were declined. Was it due to one BIG reason or several small reasons? Once you understand WHY you were denied, you will then be ready to proceed to the next step, Find out what went wrong. When it comes to fully underwritten life insurance, there are a lot of things that can go wrong. For example, maybe you were declined because of your EKG, but your examiner did not know how to work the machine. Or perhaps you were super anxious to get a blood draw so your blood pressure was sky high. Or perhaps your took a muscle building supplement and your urine protein levels were off the charts. There are a lot of things that can be fixed. It may be that you simply are not a good test taker! Once we know why you were declined and perhaps what went wrong we can move on to finding the right company for you—based on your unique health and lifestyle. Step 3. Work with an agency such as TermLife2Go! We focus on the unique niches filled by the myriad of life insurance carriers in the marketplace. Our goal is to align each client with the right company—based on strategically placing each client with the company that is best suited for each client’s unique health and lifestyle. Now for those of you who came here looking for ways to avoid being declined altogether, know that the first step to success is preparation! One of the best ways to avoid any surprises is to be prepared. See our articles, Exploring What Life Insurance Companies Test For and 6 Life Insurance Exam Tips to Save You Money! What are the most common reasons someone might be denied a life insurance policy? Before you can understand “how to avoid being denied a life insurance policy”, you have to know “why you might BE denied a life insurance policy”. Makes sense, right? 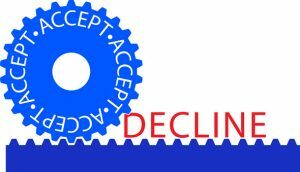 See: Top 10 Reasons for being declined for Life Insurance. Positive Alcohol marker. This is not a test for alcohol in the system. A few drinks here and there is not going to create a positive alcohol marker. A positive alcohol marker is run when liver functions are elevated and is used to determine if the applicant’s drinking is well above what is considered “normal levels”. Previous Denials. Insurance companies subscribe to what is called the Medical Information Bureau. It is a report that is shared among the insurance companies sharing information about previous declines or approvals on other insurance applications. Its purpose it to protect insurance companies from applicants who may be lying about their current health conditions. Just because you have been previously denied does not mean you will be denied again. Ok, So Put me down for Three of these, What can I do Now! Who among us couldn’t afford to lose a few pounds, and with today’s economy being what it is, how many of us can really say that they’re exactly where they want to be financially? And that’s the point! Many of us, when we look at this list, can see several reasons why a life insurance company, if they really wanted too, could find something to deny us a life insurance policy. And How Am I Supposed to Figure That Out? This is the question we answer for you below. 10. Avoid the Call Center Agencies! 8. Pick and agency that specializes in high risk applications. 7. Take your time when you’re considering applying for a life insurance policy. 6. Every Question has a Purpose, So be Truthful and Honest from the start. 5. You don’t have to Apply for life insurance to Find out if you can be Approved for life insurance. 4. Don’t Wait Until It’s too Late! 3. Be Prepared for the Exam! 2. Take What you Get! 1. Choose the professionals at TermLife2Go as your life insurance agency! If you know from the beginning that your application may require some additional “TLC”, why would you choose to apply with an agent that is forced to work in a call center setting? Now don’t get us wrong, many of the agents working for these larger “nationwide” agencies are excellent at what they do! In fact, because they write so many applications each and every month, sometimes well over 100, they are usually very good at determining who will, and who won’t be approved for life insurance. They need to be good at this because each and every second of their time is PRECIOUS and ACCOUNTED for by their management team. These agents know that in order to be successful in a call center environment, they’ll need to write 4 or 5 new life insurance policies each and every day and don’t have time to be bogged down by any one “Special Needs” case. Which is why you should ask yourself, “If my application requires more work than what is considered “normal”, will my “call center” agent be able to drop everything that he is doing and “get it done”! The more options that you have, the better your chances are to be, first “Approved” for life insurance, and second, receive the “Best Price” on your life insurance policy. It’s one thing to say that you can “quote prices” for all the top life insurance carriers—OK great! Does that mean you can “write” life insurance policies with all the top life insurance carriers? Here at TermLife2Go, we can write life insurance policies with dozens of the top insurance carriers in the country! Where’s the “challenge” in getting a healthy 22 year old approved for life insurance? The truth is, if you’re young, healthy and have a job, getting a life insurance policy is pretty easy… and boring! Yes, it is satisfying to help out a young and healthy person get the right life insurance policy that will protect him or her for life, but not quite as satisfying as helping out someone who has already been turned down for life insurance before or simply did not believe they would be eligible for insurance in the first place! TermLife2Go was specifically created to help out those who may be considered a “high risk” for life insurance. “John age 42, was able to get $250,000 in term life insurance for less than $18.00 per month”. And the truth is, both statements are true in very specific situations. Unfortunately though, these commercials fail to mention that “John” needed to answer about 15 questions before it was determined that he qualified for a $250,000 life insurance policy for $18.00 per month. They typically are given the best quote available based on maybe their age, height and weight, ignoring all other factors that go into determining ones approval for life insurance. Then several weeks later, after these clients have taken their medical exams, these same clients come to learn that for them, $250,000 in life insurance doesn’t cost $18.00 per month, it is more like $100 a month. Again this goes back the type of agency that you choose to work with in the beginning. If your agent is being evaluated by how many applications he or she writes, getting you to apply may be all that he or she is looking to accomplish. Your approval and acceptance of the policy may take a back seat to the more pressing need to simply have you apply in the first place! Understand the process of applying for life insurance. And fully understand all of your options before making any sudden decisions. Buying life insurance can and should be a very personable and caring experience. After all, to be able to best serve your needs, your life insurance agent should know exactly what you want to achieve by getting your new life insurance policy. Each of these reasons for applying for life insurance, may lead to a different solution, specially designed to meet your exact needs. Don’t just apply right away, let your insurance professional do some research for you, first! One of the most frustrating conversations an agent can have is when a person will call in looking for coverage on an aging parent only to learn that the client’s mother or father can’t qualify for life insurance or the coverage is simply too expensive at this point. We will often try to use this as a time to education these callers that they themselves should not wait to get life insurance and should take advantage of the lower rates for themselves while they can, rather than wait till its too late like their mother or father has. Sadly, many people don’t want to imagine “themselves” dying or growing old. For these folks, it’s easier to consider buying a life insurance policy on someone else, then to ever consider that they may in fact need one as well. You are ready to apply and take your medical exam! So don’t mess it up! What we mean by this is, be sure that your agent goes over what you should and should not do prior to your medical exam. Your medical exam is going to represent a “Snap Shot” of your current overall health, so be sure to put your best foot forward. Leading up to your medical exam, you want to make sure that you’ve been eating healthy, avoiding any foods high in fat or salt. Also avoid any alcohol 24 hours before your exam an in general you should always fast for 12 hours before your exam, and preferably take your exam first thing in the morning when your weight and blood pressure will typically be at its lowest. Do you know when the best time to shop an insurance rate is? It’s when you’re already insured and your family is protected! We can’t tell you how often we will encounter people who may have been approved for life insurance a year or two ago who decided that they didn’t want to take the policy at that time because they thought it was too expensive or that they thought that they could get a better rate only to learn now that they can’t find coverage anywhere. So, if you’re approved for life insurance and you really need it, take it! You can then spend the rest of your life trying to get a better deal, and we’ll help, just don’t decide to refuse coverage and look elsewhere without being insurance first! Please watch our video on TermLife2Go’s 4 Step Process for getting high risk clients approved for life insurance and see how we go the extra mile for you! We understand all the work that goes into getting those “high risk” applicants the best possible rates on their life insurance. So what do you have to lose? Our promise to you is that if we’re not reasonably sure that we can help, we’re not going to waste your time! Our goal here at TermLife2Go is to get you and your family the best possible life insurance policy out there, not just quote you something you’ll never be able to qualify for! Please expect a call from one of our agents shortly so that they may gather some additional information regarding your sons diagnosis. From there we will do everything we can to try and find a company that will be willing to insure your son. Previous Post: Terrific Life Insurance Approvals with Stents…Made Easy! Next Post: Terrific Life Insurance Rates for Those with Addison’s Disease!